OUR MISSION is to make education relevant, accessible, and equitable for all. 24/7 TEACH IS AN EXPERIENTIAL LEARNING AND TECHNOLOGY ORGANIZATION. OUR VISION is to be an education organization that ensures access to quality education for all, regardless of race, location, income, and access to technology. We will accomplish this by building a team of highly-trained education professionals, developing effective educational technology, relevant instructional experiences, and supporting innovative schools and businesses. OUR OBJECTIVES are to open 100 schools, partner with 1000 businesses and schools, and instruct 250,000 young and adult learners through our project-based educational model in the U.S. and across the globe by 2025. AN ONLINE PROJECT BASED LEARNING PLATFORM AND MARKETPLACE. It facilitates Project Based and Personalized Learning, Data Driven Instruction and connects learners with educators and other learners from around the world. E-LEARNING PLATFORM AND PLUGIN DEVELOPMENT FOR SCHOOLS, EDUCATORS, AND TRAINERS. Our web solutions allow you to start a virtual school, tutoring center, or offer virtual training and blended learning. 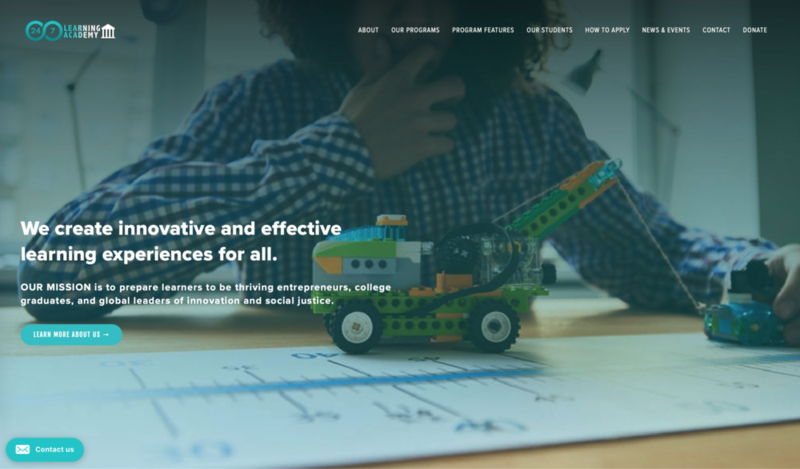 A MICRO-SCHOOL AND LEARNING CENTER that equips learners, ages 11 years old to adulthood, to attend the college of their dreams, create their own companies, careers, and pathways to success. Find out about our organization, mission, methods, and opportunities. Ready to take action? Become a staff member, educator, curriculum writer, intern, or invest in our cause.